NantHealth, the information technology and personalized medicine company headed by billionaire Dr. Patrick Soon-Shiong, has filed for an initial public offering. The number of shares and size of the offering have not yet been determined, the company said. It will trade under the ticker symbol NH. The filing comes about six months after the Culver City, Calif.-based company delayed its IPO, citing adverse market conditions. Yet it's not just the recent market volatility that can shake NantHealth. The company is forging a new model of care based on the idea that genomic analysis will one day inform how various diseases should be treated—a concept that's still in its early stages. And it has been operating with significant financial losses with questions over its long-term profitability. NantHealth is building what Soon-Shiong describes as a “knowledge engine” that will use big data to help clinicians make better treatment decisions for people with critical illnesses. Its primary focus has been to change the treatment and research paradigm of cancer care. 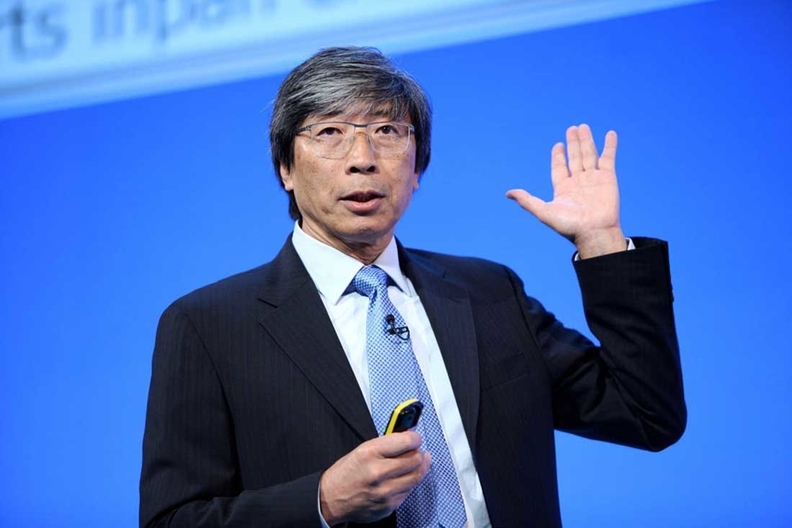 Soon-Shiong, who invented the blockbuster cancer drug Abraxane, believes that tumors should be targeted based on their molecular expression, rather than where they appear on the body. Its products include the Clinics technology platform for data analysis as well as a molecular diagnostic tool, GPS Cancer, which aims to predict a patient's response to different treatments. NantHealth has an ambitious mission, but the promise is still being realized. Some skeptics have questioned whether the company can deliver on its vision. The company's IPO filing highlights a number of risk factors. Its business model is forging new ground in a still-evolving field. It will require vast amounts of patient data and a greater understanding of the link between genetic expression and disease pathways. And NantHealth isn't the only company trying to make money in this new space, which means its GPS Cancer tool needs to stay ahead of the curve. Its primary competitors are diagnostic companies offering whole-genome sequencing, the IPO filing said. Companies such as Foundation Medicine, Caris Life Sciences, Personal Genome Diagnostics and even hospital research laboratories are developing tools for molecular testing. Meanwhile, NantHealth is investing millions in research and development as well as marketing, general and administrative expenses. It also has made a number of acquisitions and expects to keep buying in the near future as a key part of its growth strategy. NantHealth reported a net loss of $72 million on $58.3 million in net revenue for the year ended Dec. 31, compared with a net loss of $84.4 million on $33.9 million in net revenue for the previous year. Its accumulated deficit was $291.2 million as of Dec. 31. Soon-Shiong did not collect a salary or any other compensation in 2014 or 2015, according to the filing. The company plans to use the proceeds of the IPO to inject additional capital into the business. NantHealth sells its software, hardware and mobile apps to healthcare providers, insurers and self-insured employers. It estimates that more than 75% of oncology practices uses its Eviti platform to help match patients to clinical trials; health plans pay a per-member, per-month fee for the technology and then offer it to oncologists free of charge. NantHealth also has 450 clients using its NantOS software and apps, which collect and organize data from a number of sources, readying it for analysis. Finally, the company picked up new insurer clients through its January acquisition of NaviNet. The company also is a founding member of the National Immunotherapy Coalition's Cancer MoonShot 2020 Network, which is seeking to develop an immunotherapy vaccine by 2020.